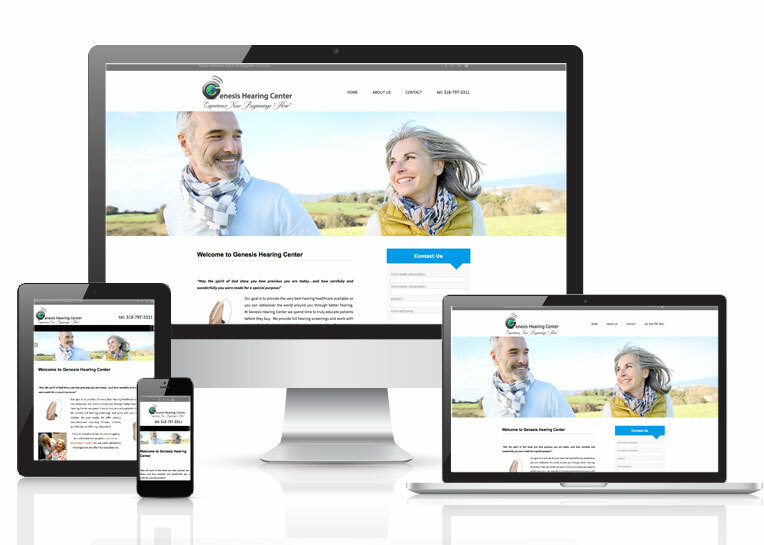 Online Presence Builders created an original, responsive web design in WordPress using the initial branding concepts Genesis Hearing Center had requested. Encompassing their design inspirations, Online Presence Builders formatted a website design that is easily navigable, organized, and functional in terms of customer use. Because Genesis Hearing center did not have a previous website, there was not content existing. Thus, Online Presence Builders’ copywriters went to work on creating unique, original content that would stimulate progress in search results. Implementing a strong content strategy makes way for Genesis Hearing Center of Shreveport LA to have strong results, but Online Presence Builders also initialized and formatted all social media applications for Genesis Hearing Center, so their customers are also able to reach them on a social basis!